Pamplin Media Group - Why does the WL summer market struggle to attract farmers? Why does the WL summer market struggle to attract farmers? When the West Linn Summer Market closes each Wednesday around 8 p.m., many local farmers are already asleep. Their days generally begin before sunrise, and in the summer that means they're often in bed before the sun sets. 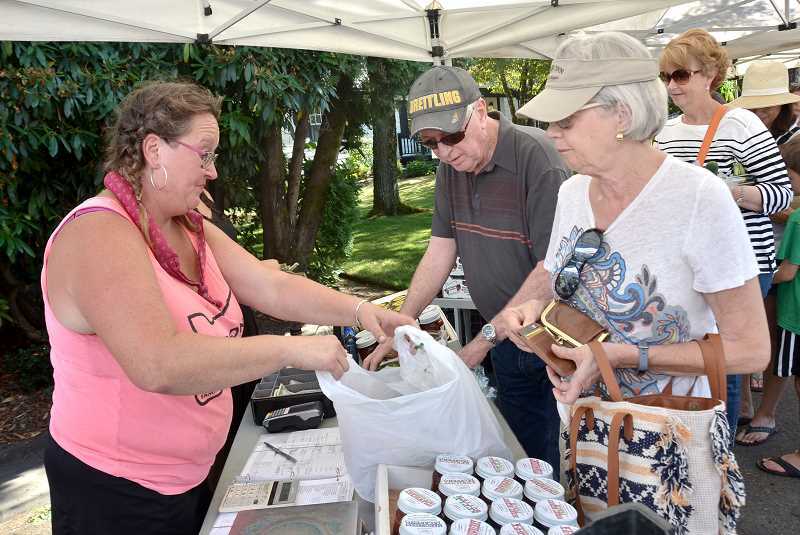 They don't work a typical 9-to-5 schedule, and that makes it difficult for them to sell their products at weekday afternoon/evening events like the West Linn market. First-year market manager Eric TwoRivers has done everything he can to solve the problem and make the event more of a true "farmers" market. But there's only so much he can do when faced with the realities of a farmer's schedule. "One issue is urban traffic, but the biggest issue is simply the timing," TwoRivers said. "Farmers, their working day starts at 0-dark-thirty — sunrise or before — and it ends at 8 p.m. or so at night. They're going to bed because they're up at 4 (the next day). "We have a good market location, we have really good market people, the vendors we have are dedicated to the market and want to be there. But getting the farms there is a real issue." Out of the 50 vendors featured at the 2018 summer market, nine are farmers, according to TwoRivers. And only four of those nine are weekly attendees. "That's enough to maintain my decent ratio to be USDA certified," TwoRivers said. "But I don't call it a 'farmers market' because they don't have enough farmers in it." While this is TwoRivers' first year managing the market in West Linn, he's spent nearly a decade managing various markets across the Northwest. With experience, he learned that timing is everything when it comes to attracting farmers to a local market. "I had a Saturday market in Battleground, Washington for several years," TwoRivers said. 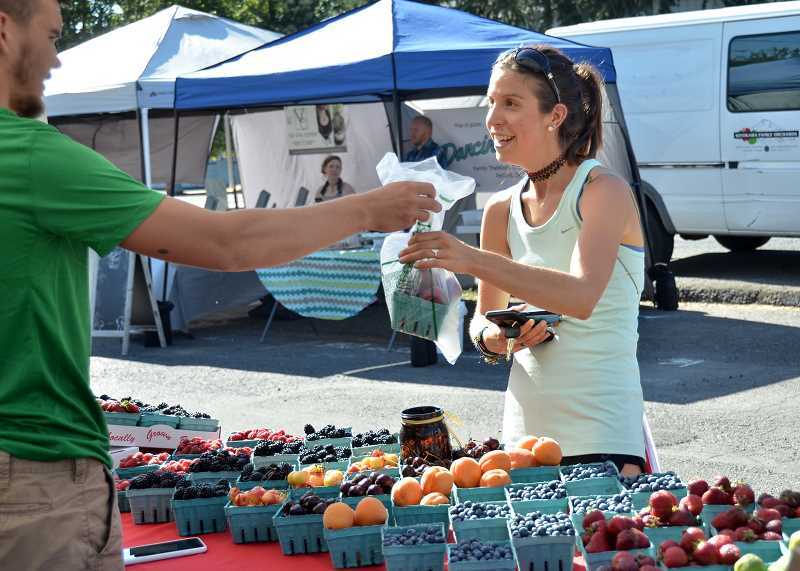 "It was 9 a.m. to 2 p.m. and out of 55 vendors, 30 of them were farms. Because that's their normal kind of hours — they're up and working and they can do things. They can pull a crew together and make a farmers market happen." When TwoRivers managed a Thursday afternoon/evening market in Vancouver, Washington, he faced a similar problem to that of West Linn. "It was the same issue ... getting farmers to an urban location," he said. "It was a little easier, because that market was literally right off I-5. There was easy access, but it was still keeping them out in the market until 8 p.m. It just doesn't work for them." Despite the challenges associated with the Wednesday evening time slot, TwoRivers said it's unlikely that the market will move to a different day in the near future. "The (Historic Willamette Main Street) board seems pretty locked into that," he said. "If I could make it a Saturday, I would jump at that, because I think it would be a huge success." For now, TwoRivers is doing everything he can to make the current market more attractive to a wider array of farmers. Earlier this year, he formed a crew of people who could help work a market booth if farmers were short of hands. "I have 8 or 10 people on standby willing to help out in the booths should the need arise," TwoRivers said. "I've had farmers tell me, 'I don't have enough family to man a booth — I can't do it, I don't have a crew.' So now I can legitimately say that I have people who are trained and willing to do that, and if you spend a couple hours with them so they can learn your method, we're off and running." Most important is simply attracting more customers to make the market more of a viable commodity for farmers. If they're going to lose sleep, it better be worth it. 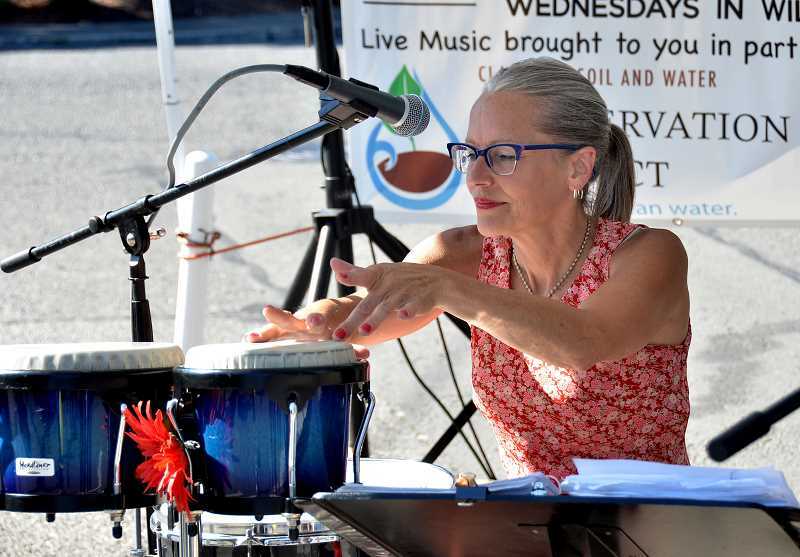 "I'm averaging 800 to 1,000 people coming through the market each Wednesday, and that's pretty good, I'm thinking, for West Linn," TwoRivers said. "It's much improvement over what the past years were, but we need the public to come out and support the farmers at the market. "That's the other part of the task, is getting the public to show up regularly to support the farmers who do come to the market."